Monique Kurki established her Brisbane Inner Eastside practice Viva BodyStrength in 2001. She is a Musculoskeletal Physiotherapist, Pilates instructor and accredited Osteoporosis Educator who has a particular interest in the management of osteoporosis. a Masters Degree in Musculoskeletal Physiotherapy. She has 35 years’ experience as a physiotherapist in private practice and public hospitals, and has taught both undergraduate and postgraduate students in Musculoskeletal Physiotherapy. a Certificate IV in Pilates Instruction and has been teaching and enjoying the benefits of training in the Pilates Method for 20 years. Monique has presented Pilates workshops in Brisbane for The Australian Pilates Method Association and mentors both trainee and qualified Pilates instructors. She is passionate about her work, and is at the forefront of her fields of expertise through continuing education. 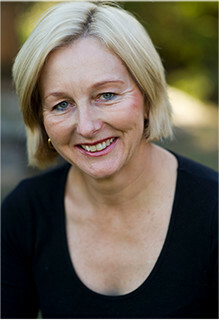 Monique has conducted Osteoporosis Self-Management Courses for Osteoporosis Queensland . She has researched and developed specific exercise programs emphasising bone loading, innovative balance training and muscle strengthening for osteoporosis. She has educated Master of Physiotherapy students at the University of Queensland in evidence-based practice for osteoporosis management. Individualised quality care for osteoporosis management and rehabilitation. Specialised group exercise classes for people with low bone density to reduce falls and fracture risk.